Panasonic have added a new Toughbook to their range the Panasonic Toughbook Permanent Display Removable Computer or PDRC for short. 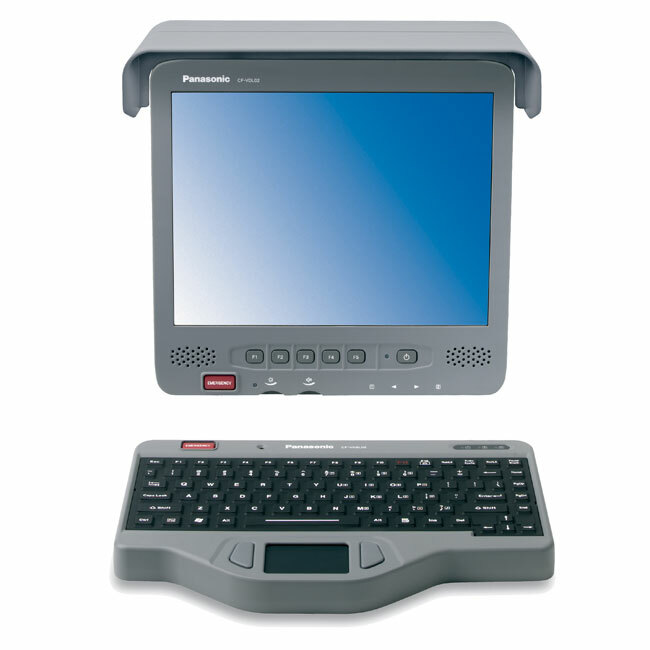 The new PDRC system seamlessly integrates with other Toughbook mobile computers and is encased in magnesium alloy with a spill resistant wireless keyboard. All the required computer hardware is encased in the screen and the system has been designed for use in Police cars and public safety vehicles. The upgraded PDRC system now has a 12.1-inch sunlight-viewable screen with 2 to 1600nit LED back light, providing 40% more brightness than previous versions making it easier to read in direct sunlight.